· Assuring the existence of assets. · Acquiring the assets for business. · Assuring proper valuation of assets. · Assuring that the assets are free from any charge. Valuation refers to calculating the value of assets and liabilities and investigating the calculated values on the basis of Accounting Standards and Principals. A legitimate officer has to value assets & liabilities and the auditor should ensure that whether they have complied with all the rules and regulations. Auditor can rely upon the valuation done by concerned authorized person but it should be mentioned in the report because an auditor is not a technical person. 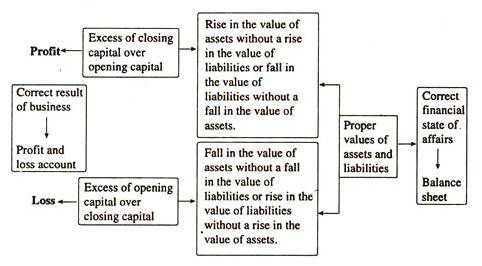 Ø Approaches of valuation of different types of assets. 1. Fixed assets: These types of assets are permanent in nature and are held with the motive of earning income and not with the motive of re-sale in the ordinary course of the business. Land and Building, Plant and Machinery, Furniture etc. are a few examples of fixed assets. These assets can be valued at cost price less total depreciation in their value by using them constantly. 2. Wasting Assets:These assets are of fixed nature and are depleted constantly, due to which they lose a part of their value in the process of working such as mines, oil wells etc. A very common method of valuation is showing the value of such assets in the balance sheet at its original cost and provision is made for depreciation and depletion according to the estimated exhaustion of these assets. 3. Intangible assets: These assets have an ability to produce income but cannot be touched or seen. Goodwill, patents, copyrights, licenses etc. are few examples. They are generally valued in the same manner as fixed assets are valued, that is at the Cost Price. 4. Current Assets: These assets are employed in the organization and held for the purposes of consumption, resale or conversion into cash. Stock-in-trade, book-debts, cash and bills receivable etc. are a few examples. Value of these assets must be calculated at original or the market price, whichever is lower. A Balance sheet is maintained to reflect the actual financial position of a business. If proper valuation is not done then such balance sheet does not reflect true and fair information about the organization. So, in order to show the real financial position, verification and valuation of assets and liabilities becomes very important. If proper valuation of assets is not done then depreciation and other expenses on assets will be incorrectly calculated. So, to calculate the actual amount of profits and losses, proper valuation of assets and liabilities becomes an essential part. Proper valuation gives a fair and true view about the profitability and financial position of a business.So that people can have positive attitude towards the company. Thus, positive attitude of public leads to increased goodwill of the organization. Verification and Valuation provides actual reflection about assets and liabilities to the shareholders which assures them that their investment in the organization is safe. 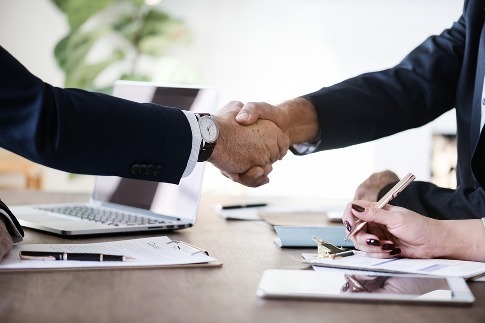 In order to sell company, it can be sold at the price which is mentioned in the balance sheet, but before selling, the assets whose valuation is not done, need to be valued first for getting the accurate selling price. An audited balance sheet which is approved by an auditor is released to the general public which increases the confidence and trust of the investors towards the company. Thus, financial institutes provide loans easily to such companies. The insurance company provides compensation for any loss that take place because of any incident on the basis of valuation of assets. So, if the valuation is done in an appropriate manner then the company can easily get compensation for the losses occurred. An auditor is not required to evaluate the values of assets and liabilities. He has to ascertain that the profit and loss account shows true profit or true loss for a particular financial year and balance sheet shows a true and fair view of the affairs of the company at the close of the financial year. Therefore, he should carefully analyze all the figures, inquire into the basis of valuation by taking the help of experts and satisfy himself that the assets and liabilities are valued according to the accounting standards and principles. If the market value of the assets is available then that market value should be verified with the quotations of stock exchange. The Profit and Loss Account and Balance Sheet should show a true and fair view of the state of affairs of the company at the end of the financial year. Therefore, reasonable care should be taken and basis of valuation should be inquired from the technical experts and different classes of assets should be valued in accordance with the Generally Accepted Accounting Principles and Standards.